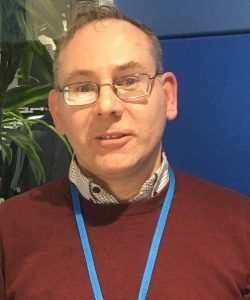 Hi, I’m Martin Butler, an IT apprentice in HMRC Digital. 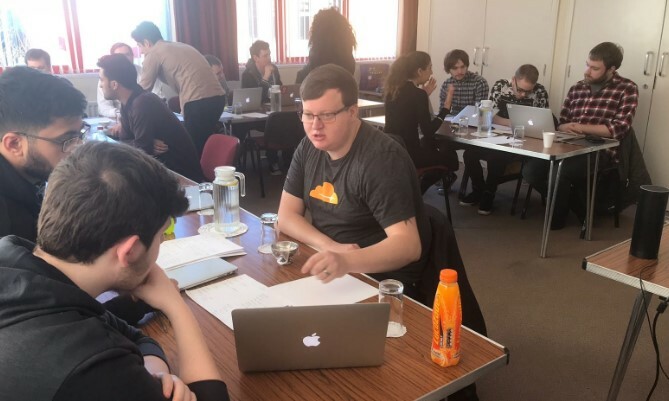 Together with an apprentice colleague, Ben Mowatt, I recently had the chance to help some young people develop their digital skills. It was a great opportunity so I’ve written my first blog post to share what happened. The opportunity came about through The Prince’s Trust, which runs various ‘Get Started’ courses, ranging from Digital Apps all the way to Fashion. These courses are designed to build confidence and equip 16-25 year olds who are currently out of work, education or training, with the skills and belief in themselves needed to enter the working world. 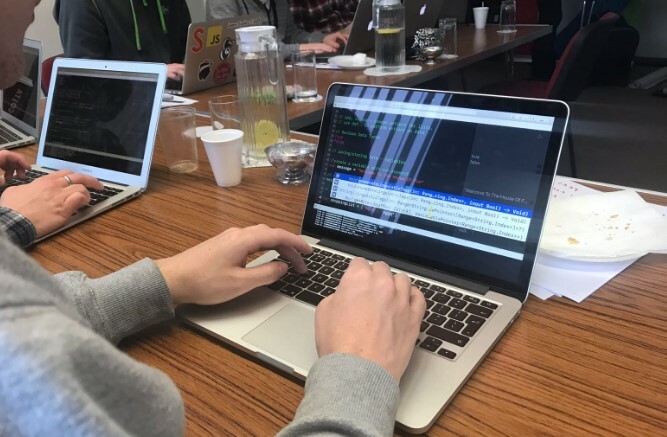 One of HMRC’s suppliers, Capgemini, has worked alongside The Prince’s Trust for the past three years and created a Get Started course for digital skills. Over the five-day course, young people get to design an app that seeks to solve a real community problem. In teams, they start from scratch and take their idea to fully-fledged prototype app. They then get a chance to ‘pitch’ their idea in a true ‘Dragon’s Den’ type setting, and that’s where Ben and I come in. We attended one of the Get Started days to support the teams in building their pitch to the ‘dragons’. It was genuinely inspiring to see a diverse young group really getting stuck in and making their ideas come to life. The group brought loads of energy and passion to the task, something that would be tremendous in any work setting, and worked together well to overcome any issues along the way. Pitching to a group of seasoned digital experts could be daunting even for someone with plenty of work experience under their belt. I really enjoyed having the chance to help the group get ready for their pitch. If they were nervous, it didn’t show when it came to the moment. And I’m pleased to say that they did both themselves and their app proud. Giving young people a safe platform to build digital skills and confidence, and helping them see just how much they can do, is an investment in the future. I know I learnt something in the process too, watching how much enthusiasm the group brought to their pitch! It was amazing to see such enthusiasm and raw talent during the day. Despite their relative lack of knowledge at the start of the programme, the teams came up with a wide variety of really neat ideas and got to grips with both the technical and social aspects of the products they were designing. A terrific effort by all involved. What a fantastic day! The ideas, designs, collaborations and presentations from all teams were amazing. Some genuinely really innovative and credible designs, professionally presented with a clear amount of thought and attention to not only designing the apps but how they would market and monetise them, I was blown away! Already looking forward to the next one! The Get Started with Apps courses have a 60% success rate of young people then going into training, education or employment. If you have the chance to get involved in any way then my advice is don’t miss it! Martin, so proUd of you for this, the passion in your face is evident.